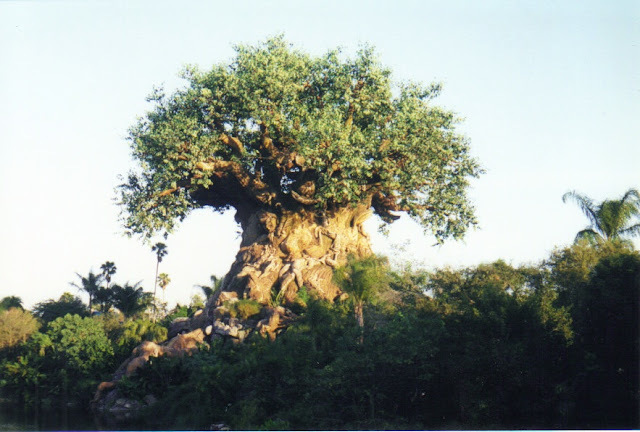 The Tree of Life is a great icon, isn't it. You can stand there for hours and not see all the animals engraved into the trunks and branches. There are almost 400 animals there. This picture from 1998 shows a Tree that has some differences to the Tree now. The biggest difference is, of course, the lack of netting. Here, the Tree is new and nothing has fallen off. This picture is taken from near the entrance to Harambe.